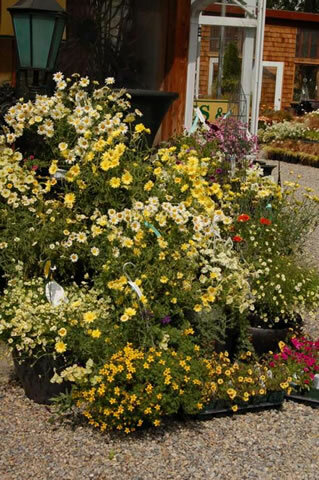 Summer at Vale’s Greenhouse is a busy hive of activity. 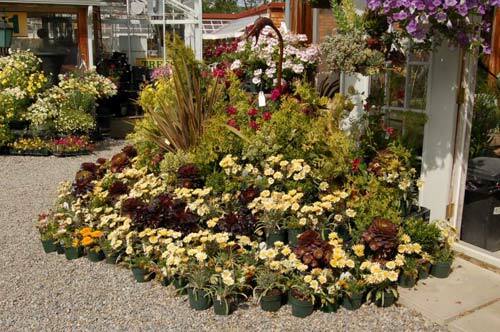 Not only do we have to get ready for the next season and the next year with plants specially grown, we also have to continue on with maintance of the current year’s plants with watering and fertilizing to keep them at their peak of perfection. 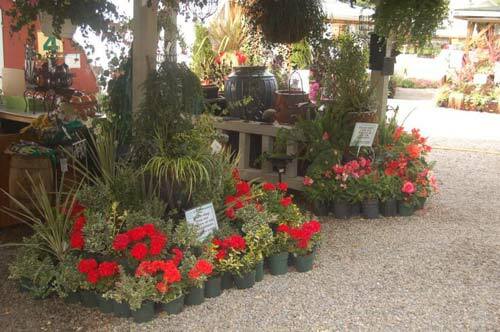 We also must help the many customers that need help in filling that empty spot in the garden or to fill that last container for their patio or deck. 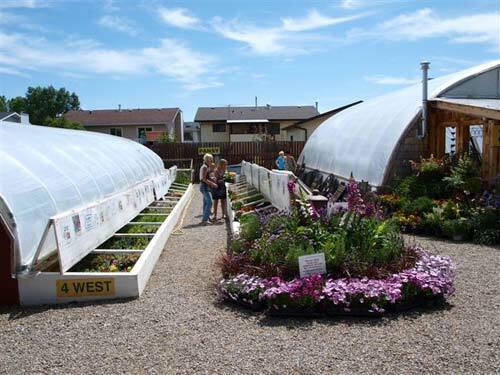 Staff can then finally take well a deserved summer vacation, take longer lunches and enjoy the greenhouse garden. 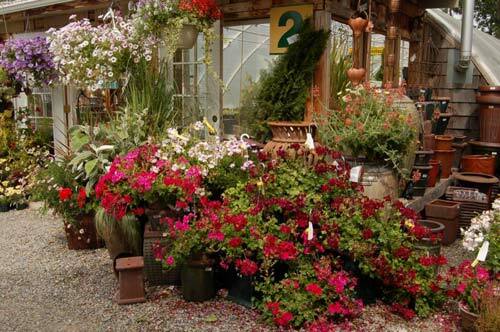 And between all this somehow new displays are created each week to keep the customers entranced. 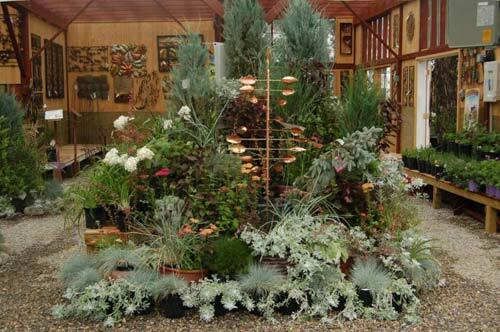 Amazing displays are everywhere when you wander around Vale’s Greenhouse. 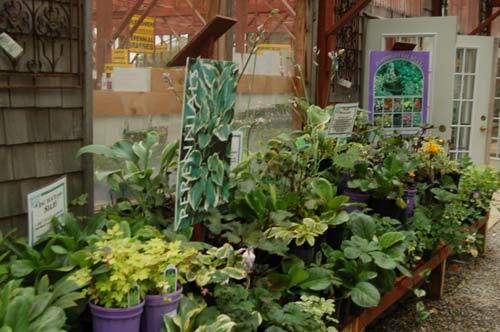 From small corners to huge greenhouse fronts the talented staff at Vale’s Greenhouse will impress you. 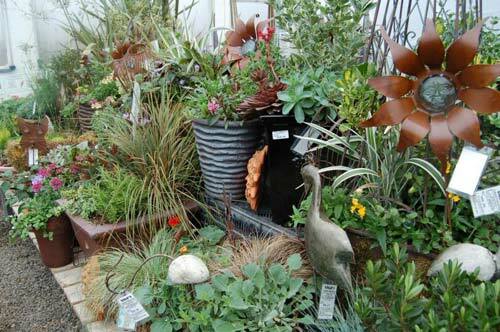 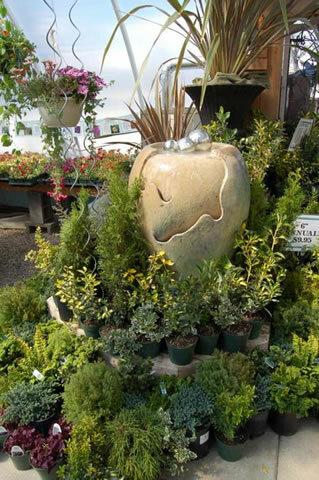 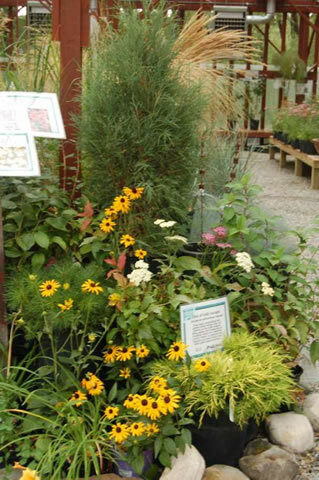 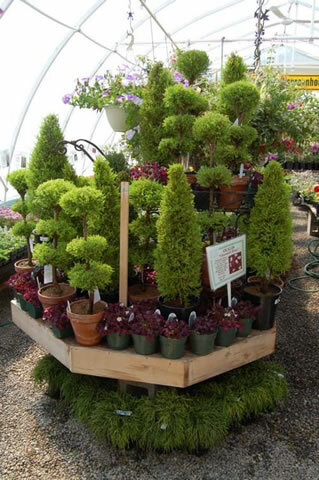 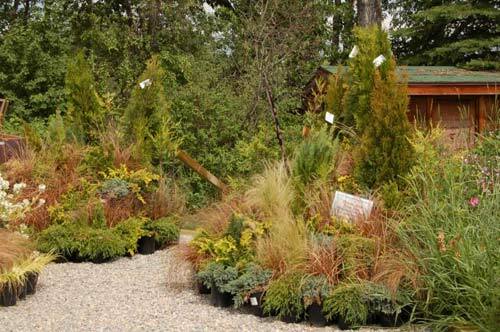 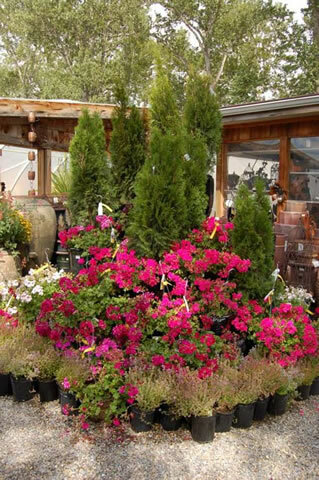 Each week different displays are arranged for you to admire, each of our many departments have displays for you to look over and copy in your own containers, perennial gardens and shrub beds. 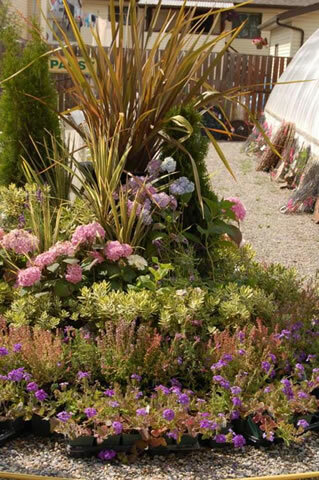 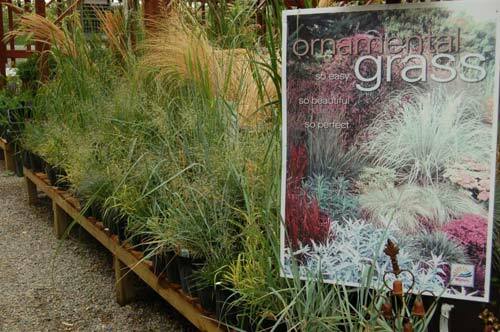 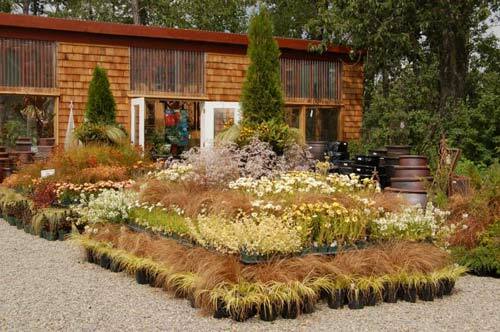 To help everyone from the novice to the expert gardener the Perennial Department uses blooming perennials and cleverly mixes in texture and leaf colour to give ideas and hints on what to place together. 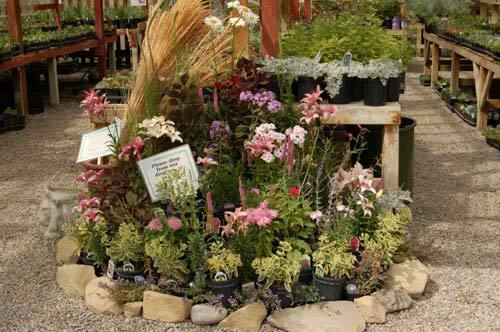 All our displays give excellent examples of what can be done in your garden. 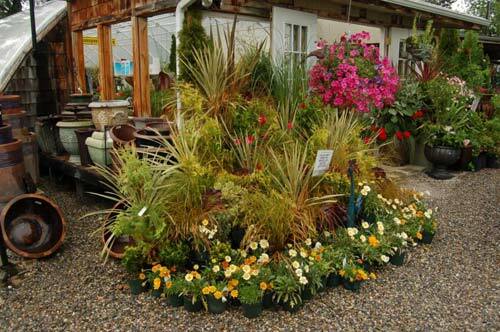 Not to be outdone, the Basket Stuffer and Annual Departments will always have a display to treat the eyes. 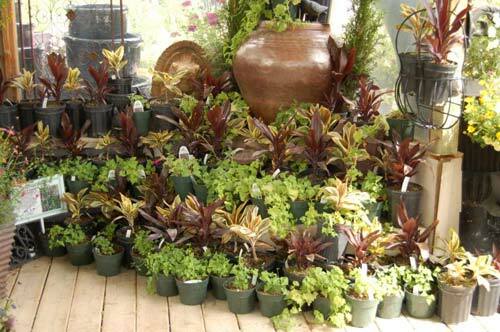 Putting together combinations that will make any container sing, you will be amazed how many different plants can be placed together. 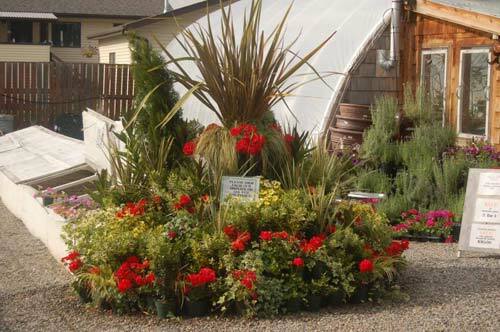 Our super staff can really kick up your planting a notch or two by give you something to think about doing in your containers and annual beds with large full displays. 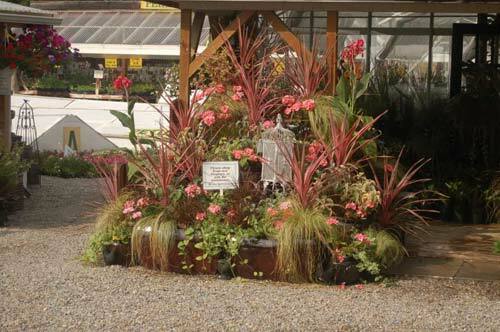 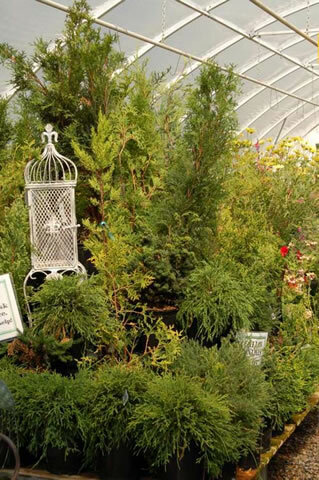 Whether you want to just wander through the greenhouse admiring the displays or you need ideas you will not be disappointed by the summer months at Vale’s Greenhouse.